Panther Precision Machine Ltd. was formed in 1990 and is located at 8116-130 Street, Surrey, BC Canada. Our main business is the repair and refinishing of aluminum automotive, truck and motorcycle wheels. We also repair aluminum castings polish automotive parts and sell automotive wheels. in 1995 working with the Ministry of Transport of BC, the Insurance Corporation of BC and wheel repair companies in BC we were able to set a government approval standard for the repair of aluminum wheels. The standard is one of the first of its kind in the world. 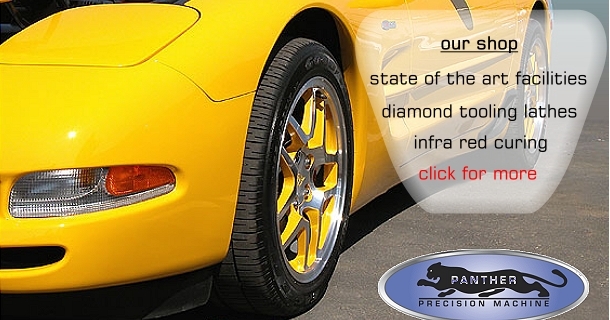 Click here to read more about Panther Precision. 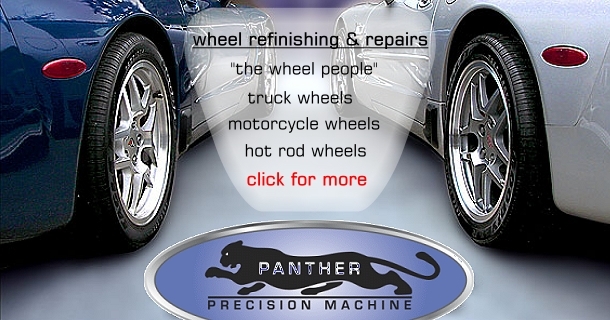 Click here for more information about our custom wheel refinishing services.